It seemed only yesterday when having a CCTV at home was something expensive to have. 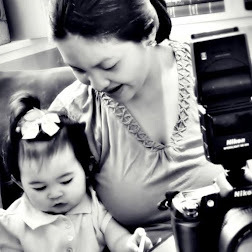 But unfortunately with today's busy schedule, especially us parents, having an eye at home is something we all need. But now, with a very affordable price giving you good basic functions, it's possible to keep an eye at home while you go out and do errands and stuff. Check out the VisorPlus Owl! 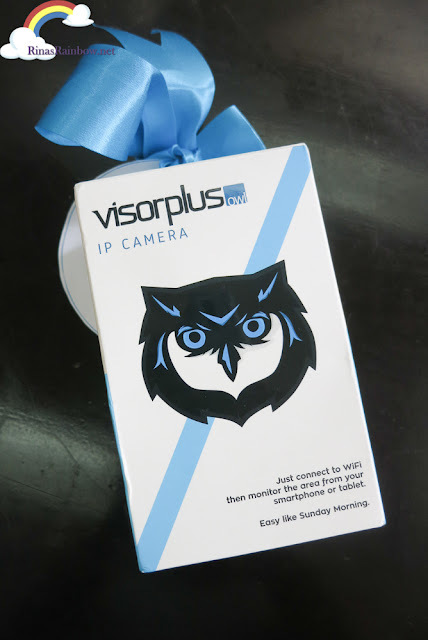 With the VisorPlus Owl, you don't need to hire an IT guy to help set it up. It's as easy as plugging it in, and fixing the connections through the mobile app! It only includes 4 things inside the box. 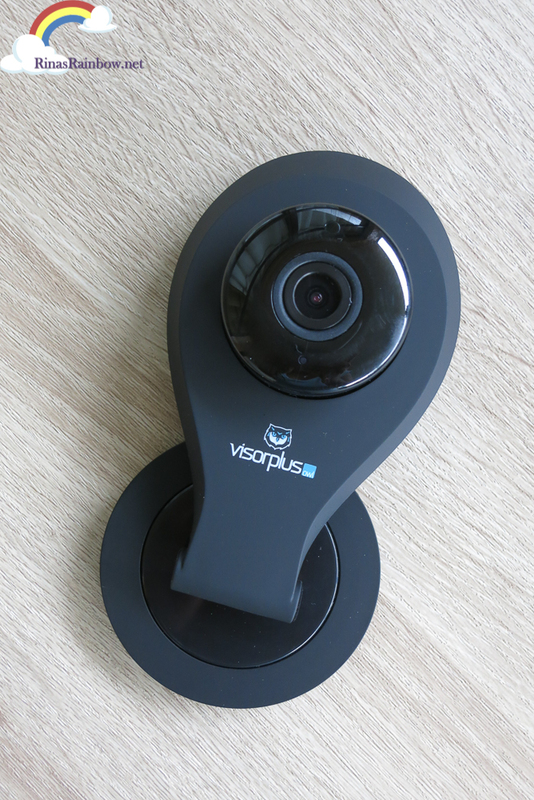 The super sleek camera, the power cord, and screws so you have the option to install it on the wall or high places if you want. I was impressed with how sleek the camera is. It's so light! Plus, the design makes it look premium! Side view. You can tilt it up or down to make sure you get the best view of the room when setting it up. It's got motion detector too! Here's the back. 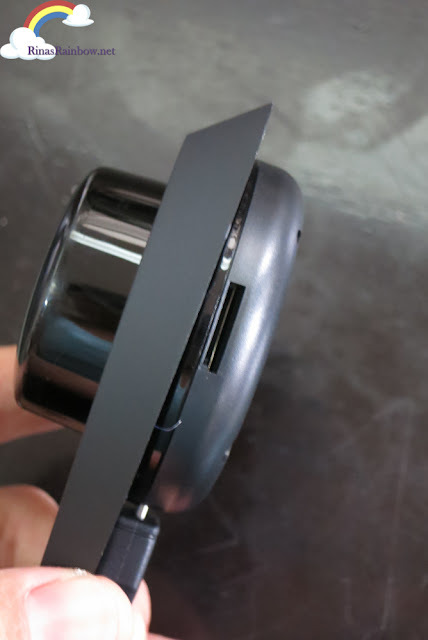 As you can see there's a speaker. 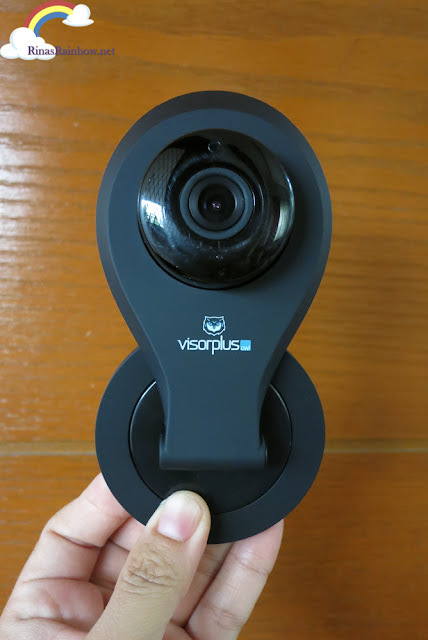 This is because the VisorPlus Owl has a 2-way audio talk. This means from the app, you have the option to speak and listen to the people around the camera! I tested it and it's pretty loud and clear! Considering of course there's not much noise going on at home. Sometimes there's a bit of lag when the WiFi hiccups a bit. But all in all it's a pretty neat feature! At the side, you can see a slot for a memory card so it can record while you're away. 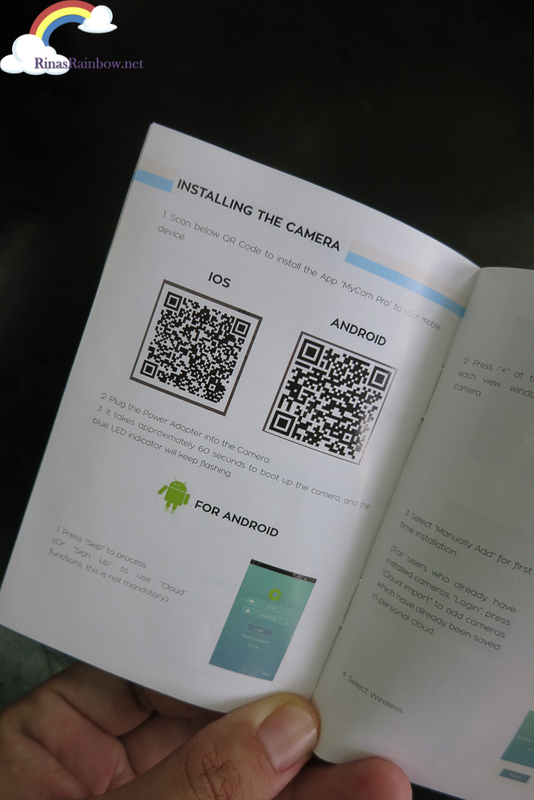 So basically all you have to do is plug it in, and download the free MyCamPRO app from the App Store or from Google Play. 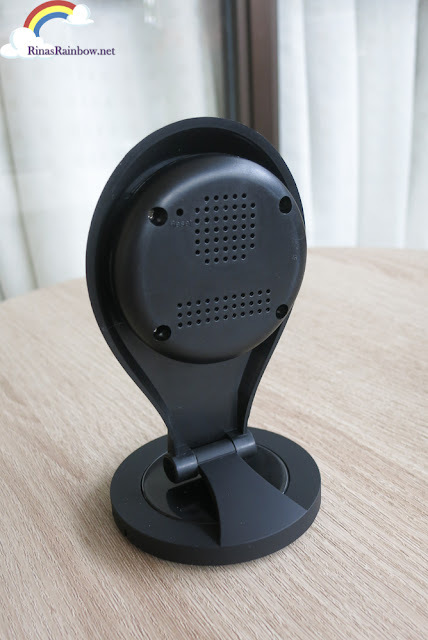 Once you download the app, you just need to follow the instructions from the manual included to connect the VisorPlus Owl to your home WiFi. I was able to do it myself in under 10 minutes! The app can also be viewed in landscape, making the image bigger. Here's how it looks like at dawn. 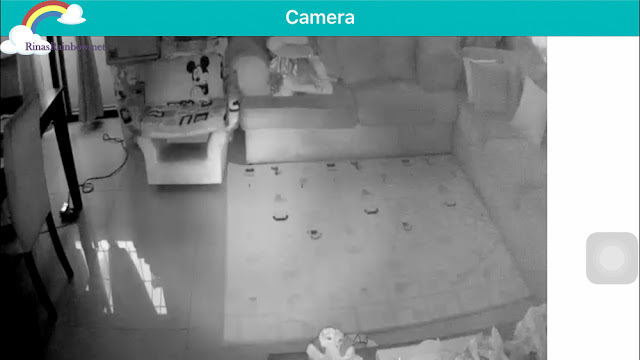 As you can see, it has night vision, hence the black and white color. In the middle of the image you can see the night vision beam. Here's how it looks like in the morning. Really bright and quite crisp! Are you ready for the price? It's only P1,499! And it's available at Kim Store! Only down side I can say about it is that you cannot pan the camera from left to right or up or down through the app. But then again, for the price range, it's really pretty good! 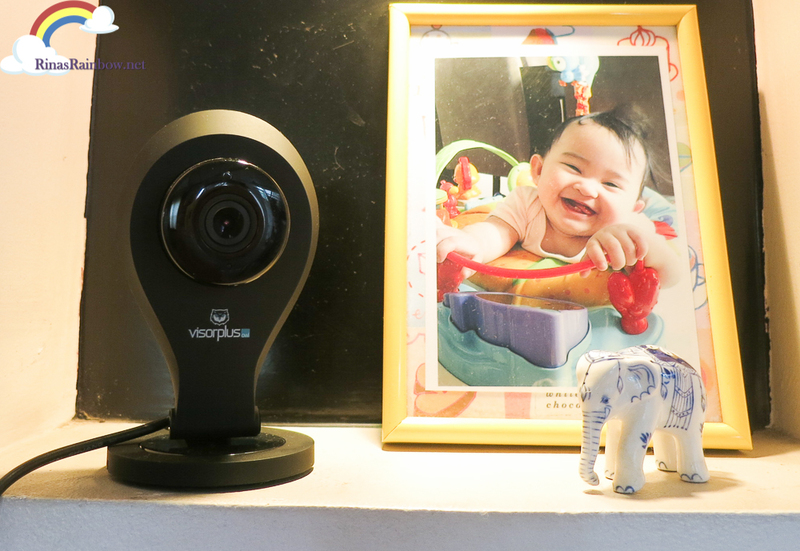 You can use it as a baby camera, a home CCTV, or even for your store or office too! 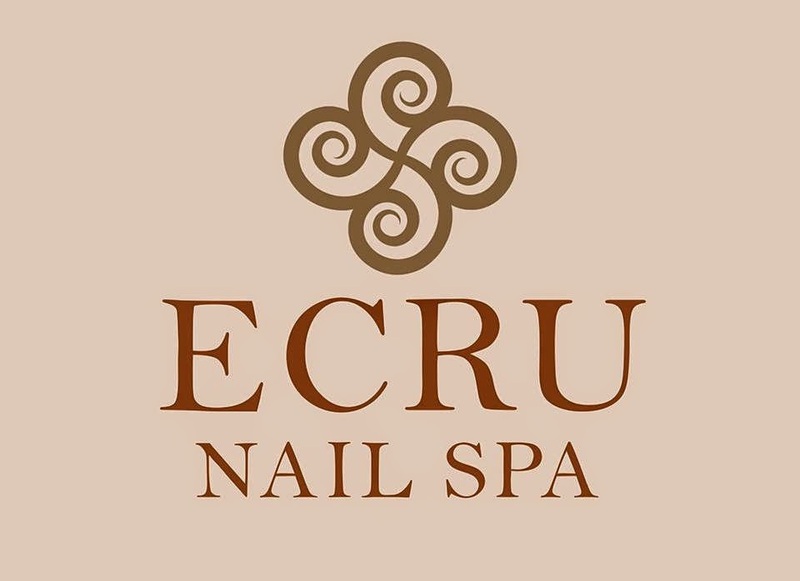 It's so easy to use, you can't go wrong! 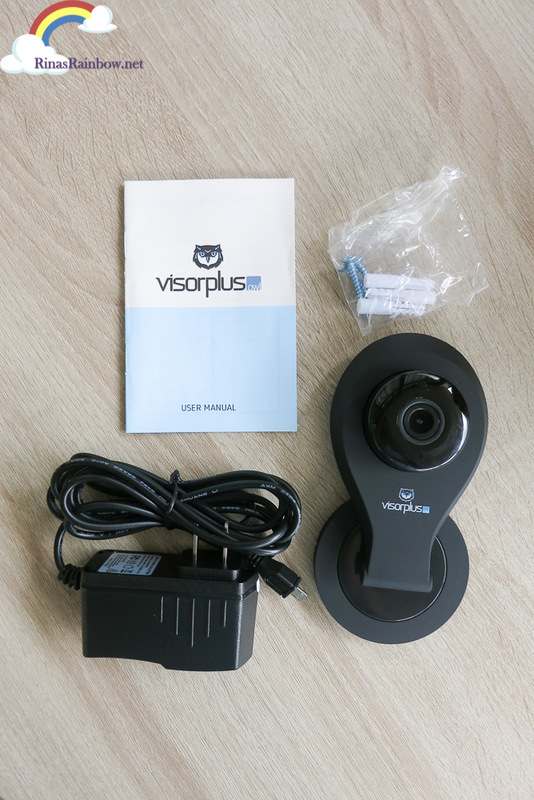 So if you're looking for a good quality cam that's under P2,000, this is your best bet! hi ask ko lang, bumili ako nito, then nilagyan ko sia ngb memory card, pero nung nicheck ko memory sa laptop walang record from camera.. any help bakit di sia nag rerecord? 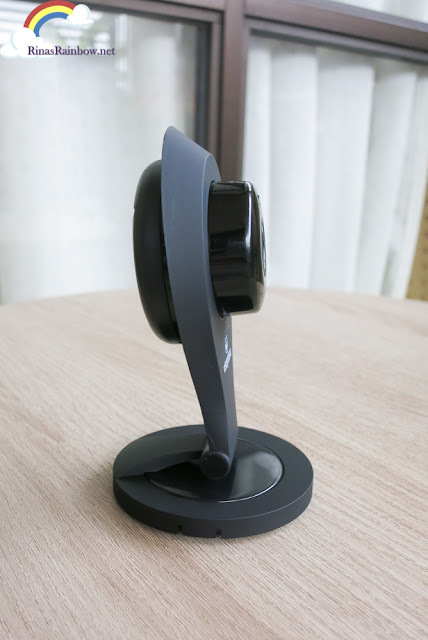 Is your IPcam still working until now? Hi Ms.Rina, i purchased visor ipcam. Its actually working naman when im at home. Pero pag umaalis ako ng bahay hindi ko na sya maaccess. Kelangan ba same internet connection talaga or may range lang sya? Ayaw magconnect pag ibang wifi na ang gamit ko sa phone ko eh. Kahit na connected naman yung camera ko sa wifi at home. same tayo ng problema. dati nakaka access pa ako sa labas.. ngayon ayaw na... parang may bug issue sa wifi niya.. need ma update. .
same problem here. maka access ako before from the net (different wifi or data). but starting 2 weeks ago, ayaw na talaga. 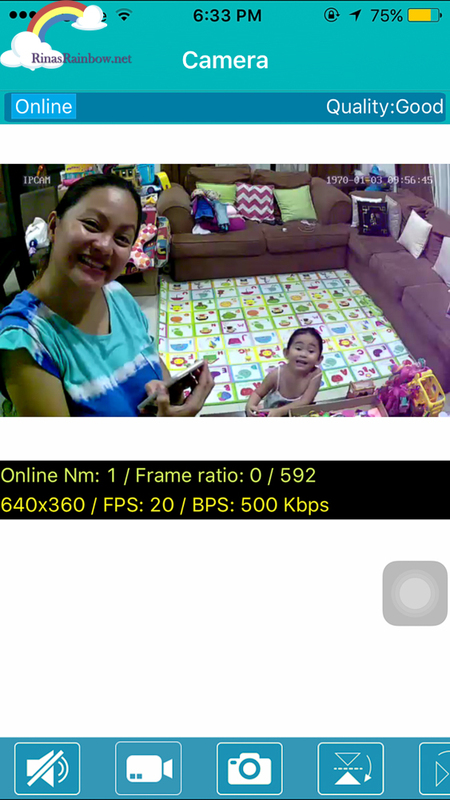 na try ko na connect ang ipcam in different routers and pocket wifi, hindi na mag work. i think, may problem sa service nila. 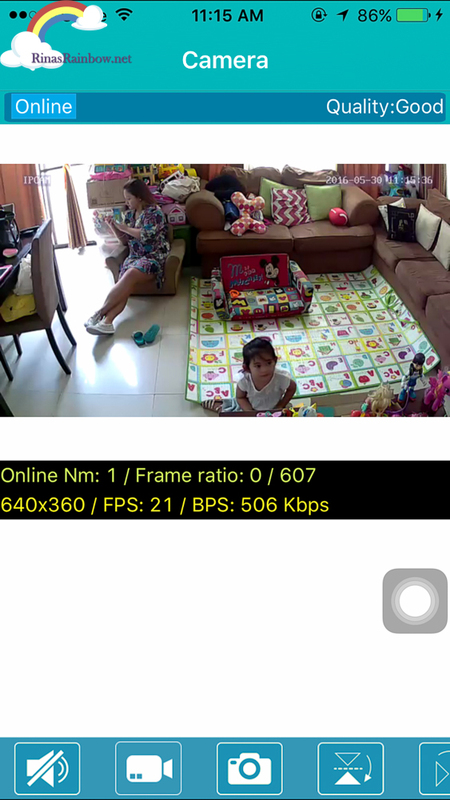 it's working if ip cam and phone are on the same network. 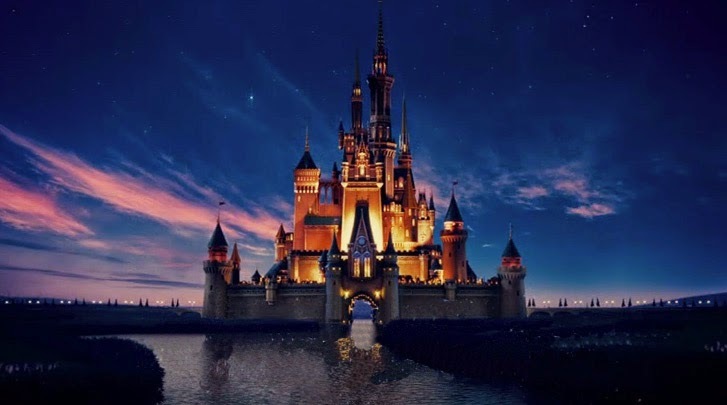 BUT if on different network, like when you are somewhere else away from home, its not anymore working. Still waiting also :-( server issue daw according to Kim store as commented by one of the readers. :( i hope they fix it soon! Booo! Sana mag effort sila mag post sa site or page nila regarding the issue.. Same issue. sana pwede money back.useless e.tagal pa sumagot ng kimstore.very poor service. Same problem here. Evesince i bought it last Aug 25, it did not work. Messaged kimstore about this but to no avail. Sobrang badtrip hindi magamit ng maayos. Same issue. Yes, same issue. If you're on the same network, it works fine, if not you can't access the device na. Any updates on the issue? Have you contacted kung saan niyo binili or Kimstore? Thanks! we were advised by kimstore na soli yung unit or for replacement ng other items nila. Kung soli for refund, dapat daw ipadala yung ipcam sa kanila and ihuhulog na lang sa bank ng customer yung refund. Same issue. How are we going to file a complaint for this or demand a refund. The cam is useless now. 1499 thankyou nlng ba? Im s sorry that everyone is experiencing this. I thought pa nung una mali lang install ng iba because mine was working fine until it didn't work narin. Will update this blog post narin. Thank you everyone for your feedback! Ms. Rina. Pa update naman po kung ok na po yung VisorPlus niyo po, even na mag ka ibang data connection. I'm not sure if the server issue is true because I was able to access mine sometime mid October. My issue right now is that I can't even connect to the camera after resetting it because I had to connect it to a new phone and I forgot the device password. It keeps saying cannot find camera. Hi what will I do if My sister forgot the username and password?